Los Angeles-based Puerto Rican singer, songwriter, beat maker and multi-instrumentalist Echoshark has just unveiled his debut single Away, a song about being apart from an obsession but still craving to be close with them. I was drawn to this song thanks to its captivating atmosphere and his smooth vocals. 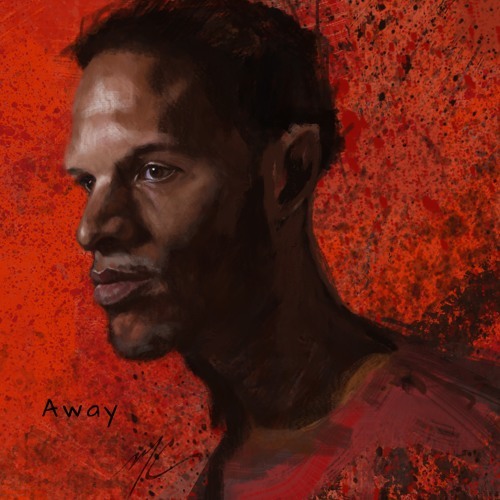 Away perfectly marries the emotion and soulful elements of R&B with infectious electronics and futuristic synth lines of alt/electronic music. I am really enjoying the beat and how his vocals have a siren-esque vibe to it, drawing the listener to the story he is singing. Stream this cool track below! The song was inspired by Bill Withers’ song ‘Ain't No Sunshine’ and personal experiences in my life. Even if you know in your head that the addictive relationship is wrong, there is still this powerful force that drags one back to it. When you are separated from your beloved obsession, you still crave closeness with them. The compulsion to connect with them can be an overpowering repeated cycle. Coming from a small town in Western Mass, Cesar – Echoshark’s real name – is a Puerto Rican singer, songwriter, beat maker and multi-instrumentalist. He is currently based in Los Angeles, CA. Cesar played in latin, indie and gospel ensembles as a drummer before forming Echoshark.